A guest piece written by Daniel King. 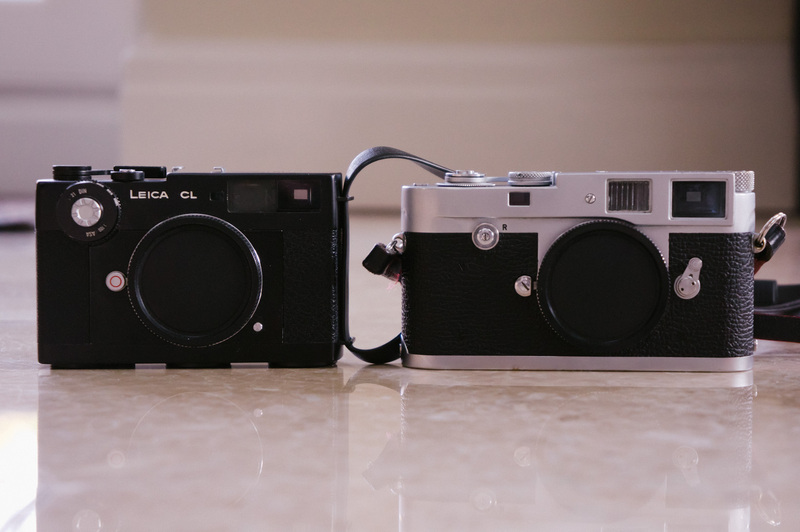 An interesting comparison of the Leica cameras. I recently purchased a Leica CL as a second camera to my Leica M2. It made sense really, a cheaper M-fitting rangefinder I could rely on if my M2 should fail (yet to happen), or if I need to shoot both B&W and colour films. Could it be more than that though? 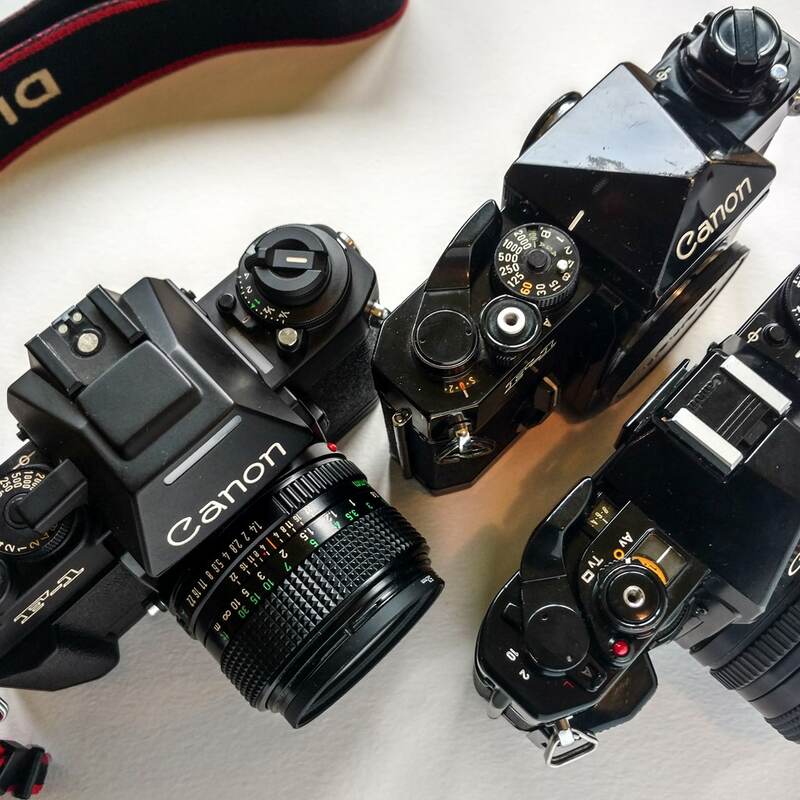 Could this cheaper rangefinder system be a fair match to its M-Series older brothers? After all, it was discontinued with very impressive sales figures, which led to rumours of it affecting the sales of Leica’s higher end rangefinders. This small comparison is from limited experiences with my Leica CL, I’ve put it through its paces to see that everything is working correctly. I will mainly look at the main reasons why people are attracted to the M-Series cameras, and see how the CL stacks up against my M2. I will not be commenting on the lenses available with the CL as I bought the body only. A Leica’s size and simplicity of use is one of the main attractions to photographers who don’t want to be lugging around beefy SLR cameras. On size alone, the CL does pip the M2, slightly smaller in terms of width. Height and thickness however, are very similar. Because of this the M2 is also slightly heavier. In terms of ergonomics, after shooting a few rolls with the CL I did have a couple of little gripes. Now these are very small annoyances, but I’m comparing this to my beloved M2, which I always have on me and can find almost no fault with in the hand. The shutter release is just that little bit further away. You have to reach over the film advance lever to press it, it feels a little less natural compared to the M2 where it’s on top of the lever. The advance lever also has a very long winding action, much more than the M2, beyond the front of the camera which makes it a lot slower to shoot when you are tying to rattle off a few shots in quick succession. The lever can also rest flush with the back of the camera making it difficult for your thumb to grab it without lowering the camera from your eye. I do however like the placement of the shutter speed dial on the front of the camera, which is in exactly the right place to make adjustments without lowering the camera. Coupled with the shutter speed view in the rangefinder (more on that below) easy changes can be made without lowering from your eye. These are very minor points, all-in-all the build quality of both cameras is very solid, exactly as you would expect a Leica to feel like. 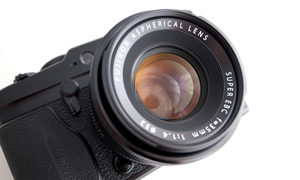 The CL is not quite as ‘Leica-ish’ as the M2 with plastics used in some areas, but for the price, it is to be expected. 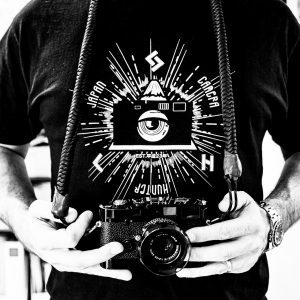 Let’s face it, most people by the Leica Rangefinder System because it is the best 35mm rangefinder money can buy. 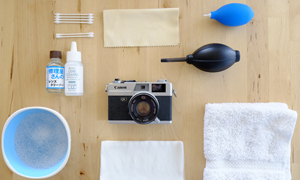 Some people love to use a rangefinder, others don’t, and there are many pages that detail the advantages and disadvantages that they bring. For me, the viewfinder and rangefinder itself is the CL’s biggest shortfall to the M2. The viewfinder of the M2 is big, bright and simple, just one set of frame lines (35, 50 or 90) and the rangefinder square in the centre. The CL viewfinder is a lot smaller, not as bright and very busy. This is mostly due to the camera’s built-in meter which did not work at all on my model (seems to be a common fault). 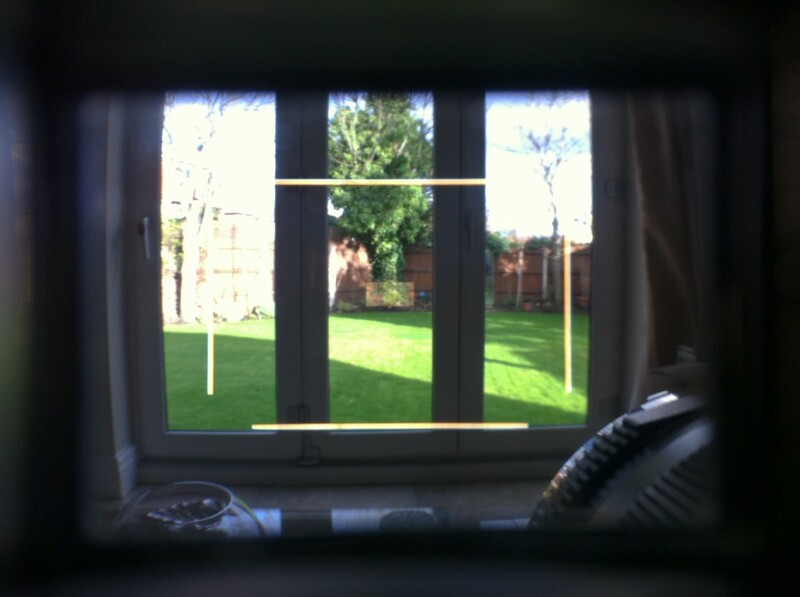 The 40mm frame lines are there permanently, the 50mm and 90mm frame lines appear when the corresponding lenses are attached. Accompanied with the shutter speed bar and meter needle bar, the already smaller viewfinder becomes very crowded. For me, the main advantage of a rangefinder is the ability to see outside of the frame at what is coming in, this is hampered with the CL due to the amount of information outside of the frame lines. The rangefinder square itself is also larger and brighter on the M2 making focusing much easier. It may just be my model but the CL rangefinder square is quite faint and difficult to use in darker or low contrast conditions. I was also getting flare issues when shooting in direct sunlight. I have also found that the lens hood for my Zeiss 50mm partially blocks the rangefinder making it even fainter. 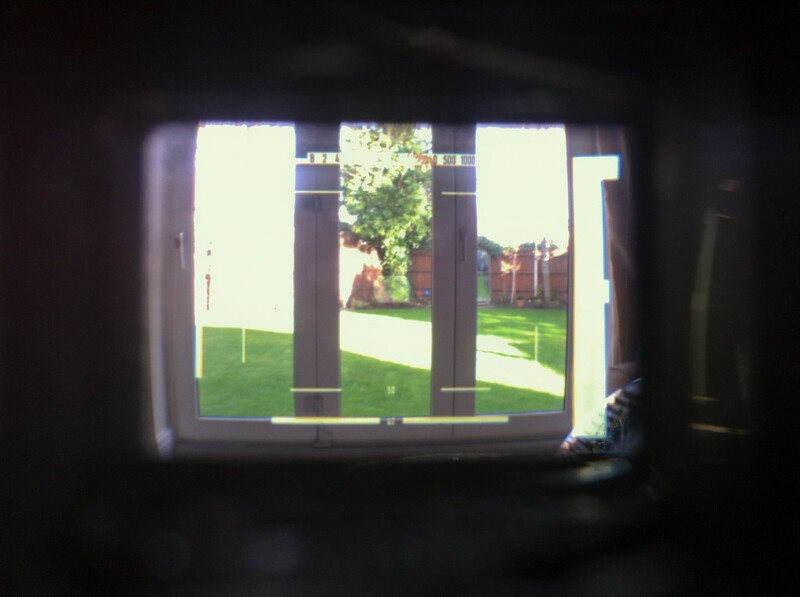 This is because the rangefinder window is above the lens, unlike the M2. I’m not sure whether Leica made the camera smaller, or the position of the shutter speed dial. Just a warning if you have glass that requires a hood to prevent flare. I’m not talking low light performance here. Another advantage to the rangefinder system is that it’s mirror less, no mirror slap here! 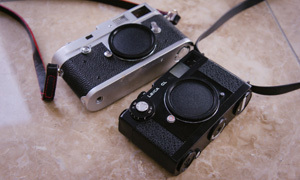 The CL and M2 both have cloth shutters making for a quiet shutter release, allowing stealthy shooting. Comparatively, they are very smaller, the M2 is a little quitter but it is hardly noticeable in comparison. Overall, these are quite small differences and if you are new to the Leica System then I’m sure you will find the CL to be a great camera. It is a step down from the M-Series cameras but I will be keeping it in my bag for emergencies if, heaven forbid, my M2 fails me. 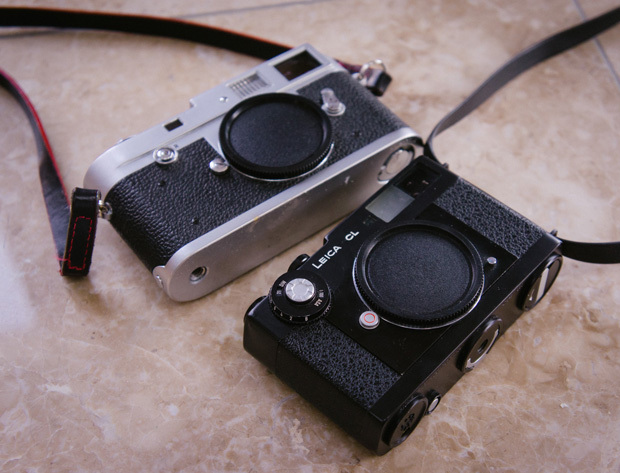 If size and weight is a big issue for you, then the CL is definitely worth considering, but for that Leica Rangefinder experience I would recommend an M-Series camera. An M-Series replacement? Not for me, but still a very strong camera and the lower price makes it a very attractive proposition. If I bought another M-Series camera as a backup it would probably be wasted and wouldn’t see much use. For this reason, the CL is perfect as a backup. cool post ! enjoyed reading ! i’m a fan of the Minolta CLE / Leica CLE w/ 28mm window ! cheers ! A very good review, the CL is definitely a great back-up or a pocket shooter for someone who is a enthusiast or even just getting into it.. It was my first Leica! I also have owned both a working meter CL and a M2. 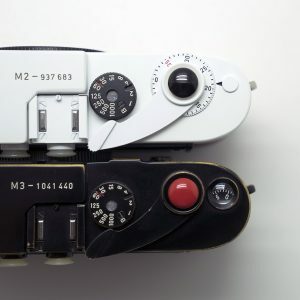 I agree with the fainting patch; which may actually be more so the de-silvering of the rangefinder mirror (mine was sort of fading at its age) since I looked into the M2 and was stunned to see how bright everything was. – The biggest thing for me going from a CL to an M-body, was the film loading..! Atleast for me it was easier on the CL, but also, more risk for leaks or whatever. Now i’ve owned an M body for years i’m totally used to sliding the film through the M’s. – Lastly the 2 reason’s why I ended up selling my CL was the fact that the meter (as most CL meters that aren’t replaced, good luck trying to get one replaced) was inevitably going to go bad. The meters weren’t made like how they are in most metered cameras, it was a swing-arm action meter that eventually will become brittle and snap, or the chemical actions in the meter itself will wear out. That being said, the advantage was a perfect spot metering system. Then there was lens compatibility issues, I couldn’t get a Super-Angulon 21mm and put it in there, or any lens that protrudes inside the body like a Collapsable Summicron or Elmar, which doesn’t matter if you’re going to use a 40mm Summicron of M-Rokkor, or even the affordable Nokton 40mm. Despite this i’m actually actively seeking another one for my fiancée. It’s perfect for her! I’ve always been very intrigued by the CL and considered one as a low-cost body to compliment my MP and M3. I went with a Hexar RF instead for various reasons. One thing that always concerned me was changing rolls with the vertical strap still attached. The top lug stays on the body but the bottom lug comes off with the back. Isn’t that cumbersome? Is it even possible to reload the camera without taking the strap off first? I’ve been shooting with the CL for a while. I was also worried about this but, in practice, it’s actually proven to be very helpful when reloading film. 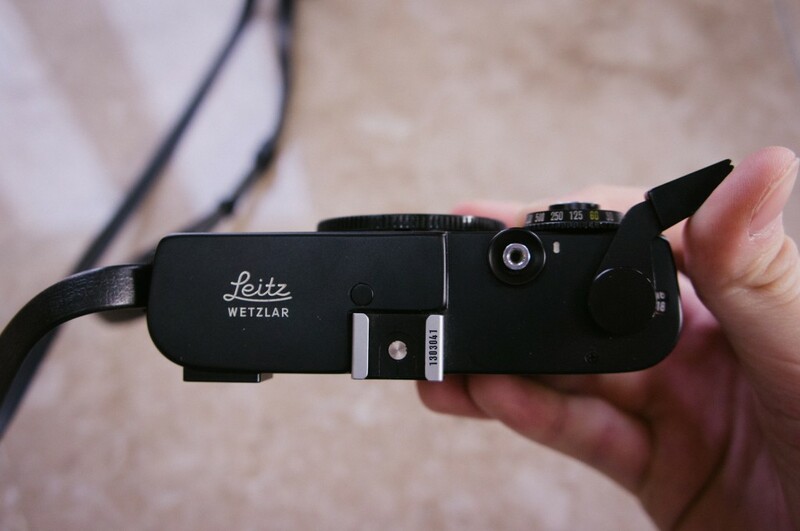 On my model (I heard that leica eventually changed the one sided lugs but I could be wrong), one lug is on the bulk of the camera and the other is on the back that slides off. This is great since it pretty much seems like the camera slides apart into 2 pieces when reloading. Thankfully, both are attached to an end of the neck strap. When I reload, I’m able to throw the back off, load, and then quickly attach the back since it is handing from my neck. Also, you know how easy it is to get your strap coiled a bit when attaching it to two camera lugs? Then you have to be OCD and redo it so the strap isn’t twisted? The CL pretty much makes it idiot proof for both putting it together after reloading and when initially attaching the strap. All in all, I like the system. I’d rather have a true M but I decided to get the CL and put money in glass before I get an M body. I’d recommend it as a first/intro Leica or a backup for sure. The most frustrating thing imo is the focus patch… and that’s coming from a guy with a broken meter. great comparison! ive only read great things about the CL and the disadvantages seem very easy to get around (in my case anyways). considering getting one in the future instead of an M.
Huge fan of the CL. I have 2 and both meters are working and both have great rangefinder patches. I guess I have been lucky. For lenses I have been using Canon LTM lenses with an adapter. The 35mm f/2 and the CL are a fantastic combo. I have only recently acquired the 40mm Rokkor. Fits my hands and fits in my pocket. The meter is useful but most experienced shooters rarely rely on them anyway. 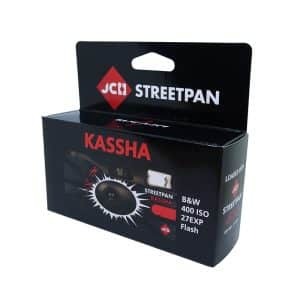 The hot shoe is great to have and makes a PC socket unnecessary. Feels like quality and the only plastic you will find is minimal and is around the eye piece and a bit around the hot shoe. If you have the opportunity to get one I suggest you grab it! Great! Finally someone wrote more detailed review about Leica CL. 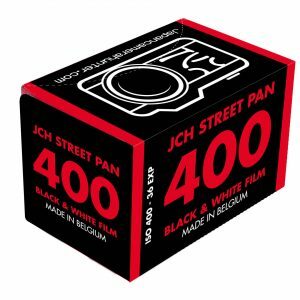 I’ve been contemplating to have one due to it’s budget, size and the default 40mm frame line viewfinder and it seems suitable for street photography who demands discreetness most of the time. What has been holding me back is its issues about focusing inaccuracy at wide aperture, slow shutter speed reliability and of course, at this moment the budget wise for an access to M-Lens. How bad are these issues can be practically? Is there any solution about it so far? 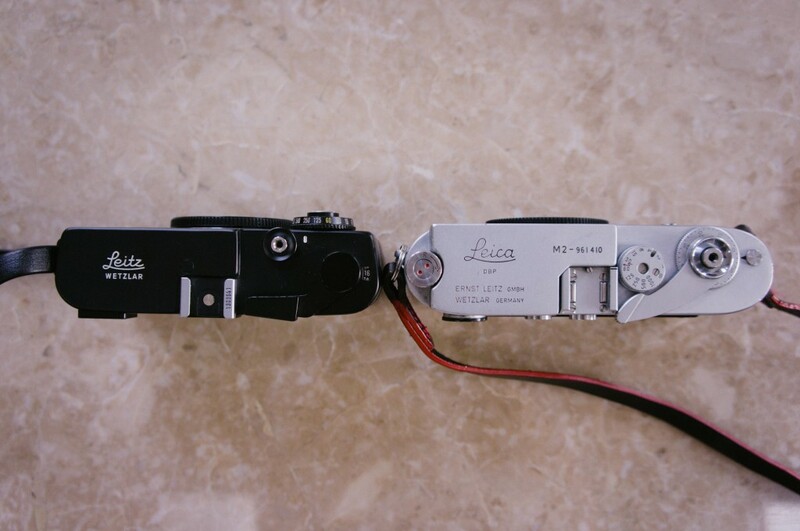 Once my heart and mind are at peace about idea of having this “Orphan Leica” as my first Leica, I will definitely contacting Japan Camera Hunter (Bellamy Hunt) to ship it to Indonesia. I had a CL for about a year and I got rid of it when I got a far superior, proper M. The meter was not functioning although it was a minor inconvenience since I don’t use one anyway. The plastics in the camera are fidgety and stupid and the camera would sometimes jam. But worst of all was the ridiculously small rangefinder system. It was difficult to see through the stupid tiny viewfinder and impossible to focus with. The main reason I bought it was so that I would have a tiny camera to carry with me at night but it wouldn’t even focus my 40mm nokton at f1.4 so it was useless. To add to this it’s not even that much smaller. For the tiny bit shorter camera you’re losing a lot of quality. The CL wasn’t meant as a ‘replacement’ for an M… compared to an unmetered M, it has a meter! central spot, very easy to use, either aimed at mid tone or to split high/low; finder isn’t cluttered at all, just not spartan. 40/2 Sumicron is a gorgeous lens, usable wide open. It’s small, light and handy and the images are beautiful (Leica, the name says it all). What it is not meant to do is replace M’s. It has 40, 50, 90mm frames; if you want to use 35, you can approximate the view by using the entire field, outside the 40 bright line. For 28 or less (or 35, for that matter), use an aux finder ($$) and frame and focus separately. 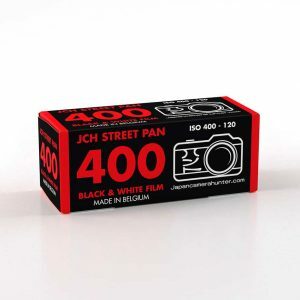 So not great for wide angles or generally other than 40, 50, 90 lenses. The main downside is the short rangefinder; recommended was an f4 90 to cover the rangefinder issue. I use a 90/2.8 on mine, but wide open only when necessary. The advance lever has a rib on the end and can be offset from the body for quick shooting; for a right eyed person, it works quickly and very well. The Leitz lenses that don’t extend too far back into the body (eg 21 SuperAngulon, collapsable 50’s) work superbly; the CL wants to use mid apertures, where the lenses are sharpest anyway. The Minolta/Rokkor lenses are very good and less expensive alternatives. A nice CL is less than an M2/3 and you don’t have to carry a handheld or buy a Leicameter. If you want to take advantage of everything Leica offers, you shouldn’t be looking at a CL; go look at M6/7s. A CL, Leitz or Minolta (minor differences) is a nice little camera but it’s not an M, so don’t expect it to be and you won’t be disappointed. Thank you for sharing precious information. This information made me to get CL more than before. I am saving money to buy CL. Nice write up Mr Bellamy. Now I’m trying to find the strap as it didn’t come with it. Any ideas how or where I can get my hands on one? Thanks! I love the Leica CL. Who knows why? It just feels right to me. I already had a M3, and I got the CL as a cheaper M lens host. I didn’t realise how great it would be! 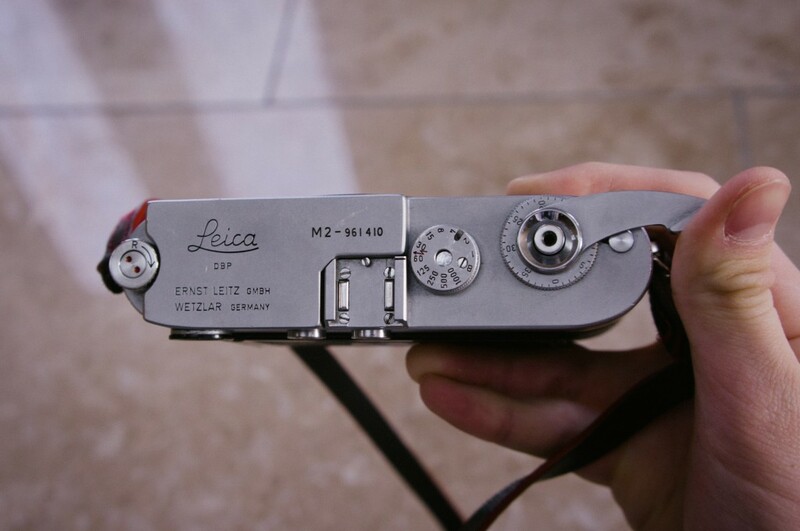 It gives the impression of real Leica quality, wonderful. It feels so nice in the hand, a beautiful little thing. I liked it so much I bought another! However, mine are both mint and work perfectly. Maybe if I had failures I would feel slightly less positive about the CL. But for now, I am going to risk controversy by saying I think it is one of the nicest Leicas ever made. If you really want some fun, fit a Voigtlander 15mm lens on it!